Microsoft has revised some Security Update Releases on May 15, 2018. Here is a short list, what has been changed. Addendum: Update revision from May 18, 2018 added. 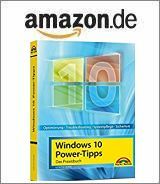 [German]In February 2018 Microsoft released a series of updates for Windows, Office,. NET Framework etc. Some users have encountered issues with these updates. Below I’ll summarize the update issues. [German]Today an article about Microsoft Surface models addressing several topcis. Some Surface Book 2 devices has coil whine, and Microsoft released TPM firmware updates. And there is a trick to obtain a recovery image for the Surface LTE. Microsoft has revised several security update descriptions and released a summary what has been updates. Here’s an overview, what’s changed so far. Microsoft has released this night a new Security Advisory Notification – dated January 10, 2018. This notification lists revisions of Security Advisories released or updated recently. Here are the details.